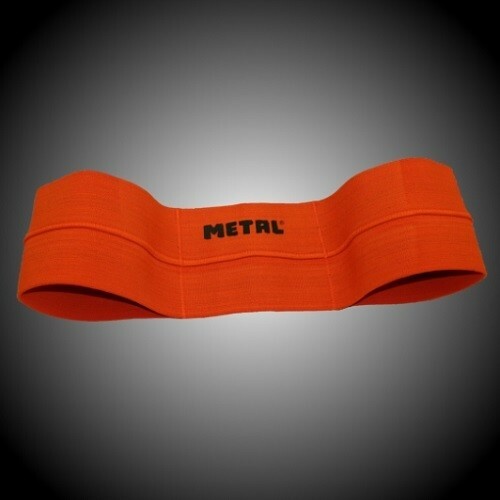 Metal orange catapult slingshot for bench press. Are you looking to build your lockout? The METAL Catapult can help! It replicates the feel of a bench shirt but is FAR easier to get in and out of! In fact, in testing, the Orange model helped RAW lifting by approximately 60 kilos. The product also adds a new dimension to pullups, lat pulldowns, dip, etc..